Recently returned from a trip to Argentina, Catherine Hickson of Dajin Resources explains how the country’s recent change in government is already affecting the mining industry there. As someone who’s been working in Argentina since 1999 — most recently spending time there as a director of lithium junior Dajin Resources (TSXV:DJI,OTCMKTS:DJIFF) — Catherine Hickson has plenty of thoughts on the recent political shift in the country and what it means for the mining industry. Argentina hasn’t been known as the friendliest environment for investors in the past. However, with the election of conservative candidate Mauricio Macri this past November, many investors are expecting big changes in how the company does business, and that could be a boon for the mining industry. Hickson recently returned from meeting with Argentina’s mines minister, and stated that some of those changes are already taking place. “At a national level, the new president has done incredible things very, very quickly to open up Argentina to investment,” she said. For example, Hickson explained that Dajin had been waiting for months to arrange a meeting to discuss community and environmental issues for its project. However, within a week of Jujuy’s new provincial government being put in place, the company had its meeting; it expects to complete the final steps necessary to begin exploration soon. Watch the video above for more about how Hickson sees changes in Argentina affecting the mining industry. 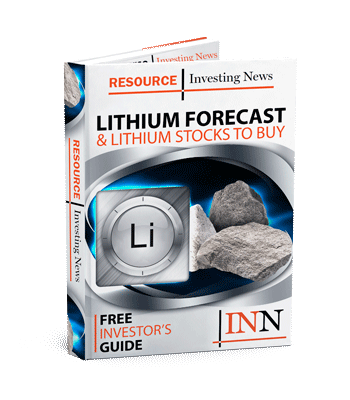 Dajin Resources is a client of the Investing News Network. This article is not paid for content.